Department of Aging and Disability Services, in San Antonio,TX means having assurance that they will be in a comfortable living environment. 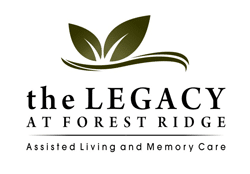 In the state of Texas memory care facilities are defined as Type B assisted living facilities. Memory care communities include Dementia care and Alzheimer care and are certified to provide personalized services to residents with Alzheimer’s, Dementia or another related condition. Some of the services provided within a memory care facility include dementia therapies, Alzheimer’s care, social activities, housekeeping,exercise and assistance with activities and medications. Dementia care services can be given to aging adults in many different settings based on one’s family support and severity of dementia. Most seniors with a solid support system can remain in their own homes if they begin to experience signs and symptoms of dementia. Long term care facilities offer residents with around the clock supervision and care, the best place for anyone with Alzheimer’s or Parkinson’s Disease. New LifeStyles Online gives our visitors a web based place to review and explore assisted living communities or nursing homes in San Antonio to find the perfect community for you or your loved one. If you’re looking for the normal cost of memory care in San Antonio, we reference Genworth’s 2018 study that documented the average annual cost of memory care in San Antonio to be between $55,000 to $75,000. This same analysis revealed the average cost of long term memory care is to increase between 3-5% over the next five years. Along with the high expenses related to transitioning into a long term care facility, it’s not easy to predict and put away enough money to allow for the move. If you’re a resident of San Antonio or Texas, you should look into obtaining government funded aid with Medicaid. The TX Medicaid program is known as the STAR PLUS Program. In accordance with the Medicaid website, single applicants should be making less than $27,000 a year to be qualified to apply for Medicaid benefits. Look at the Medicaid website for more information on requirements and the application process. Unfortunately in Texas, Medicare insurance isn’t accessible to spend on long term care expenses. Veterans of conflict may find added financial assistance and health benefits with the VA. Build a list of dementia care communities in San Antonio, make use of the search form or scroll down below to view and save listings for your leading local communities. Take your time finding out about local memory care centers through internet tours or browsing through brochures and materials we possess on our site. When you’re ready contact them and plan a visit. NLO is here so you can take the initial step in reviewing your options in San Antonio. New LifeStyles Online recommends potential residents take the time to visit the care facility and speak to staff so you have a feel for the new setting. Just what behavior is typical for aging adults who are exhibiting signs and symptoms of dementia? Symptoms of dementia can be anything from difficulty remembering, issues communicating, trouble with vision, failure to focus, and displays of poor judgement. The term “dementia” typically is the word for any sort of harm done to the brain that causes one to find it difficult remembering, speaking, concentrating, or performing daily activities. Alzheimer’s Disease is progressive destruction of the brain. According to alz.org, Alzheimer’s Disease accounts for 60-80% of all dementia cases. Initial signs and symptoms of dementia may be improved with better diet or a review of current prescription drugs which might be affecting one’s ability to focus and carry out day to day activities of life. Alzheimer’s or Parkinson’s Disease are typically considered to be irrevocable. Memory care communities are designed for elders who need help with day to day living activities, but still want to maintain a level of independence. These communities are for seniors or elders who have been diagnosed with Alzheimer’s, Dementia or other related conditions. Many memory care communities offer programs that are designed to slow the progression of Alzheimer’s or Dementia symptoms. Memory care residences provide 24 hour supervision and some health services for residents. Other states may use similar terms to describe a memory care community which include skilled nursing care centers, adult day programs and special care units. There are 33 memory care communities in San Antonio that may be the correct fit for you and your family. See below or click to view a list of the memory care communities in San Antonio. Memory care communities in San Antonio have secure outdoor and indoor recreational areas and simple floor plans so residents won’t become easily disoriented. Also most communities provide security alarms for doors and elevators for additional safety. These facilities provide intensive and long term care services to help all residents. San Antonio is one of the most populous cities in the Texas and is located in the southern region of the state. San Antonio is surrounded by cities such as New Braunfels, Boerne, Seguin and more. Some local attractions in San Antonio include Mission San Jose, The Alamo and The San Antonio River Walk. The San Antonio area has over 170 hospitals, medical complexes and other services for you and your loved one.